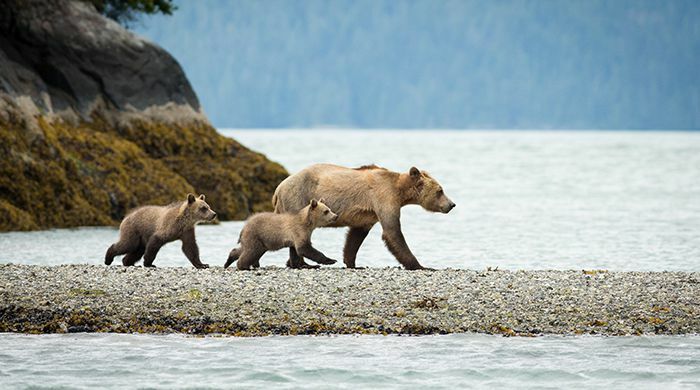 The Knight Inlet is one of the best places to view grizzly bears in the world. 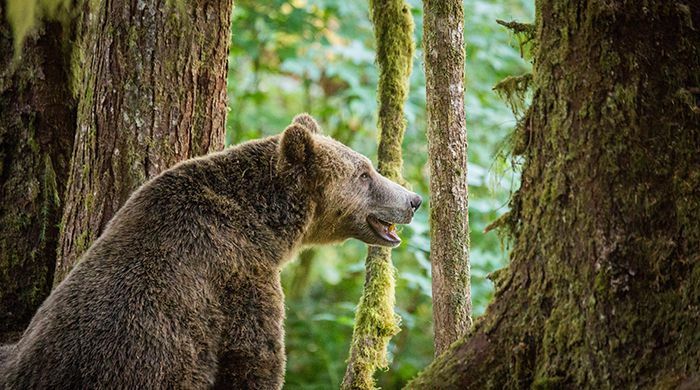 Every spring, the bears come out of hibernation and can be seen by boat on the banks of the Glendale Cove eating sedge grasses, mussels and barnacles that abound in the cove. 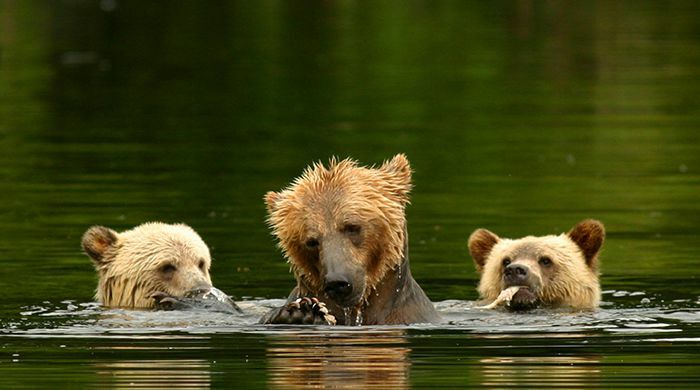 In autumn, the bears feed on salmon in the Glendale River, and can be seen in large numbers from the specially constructed viewing platform. 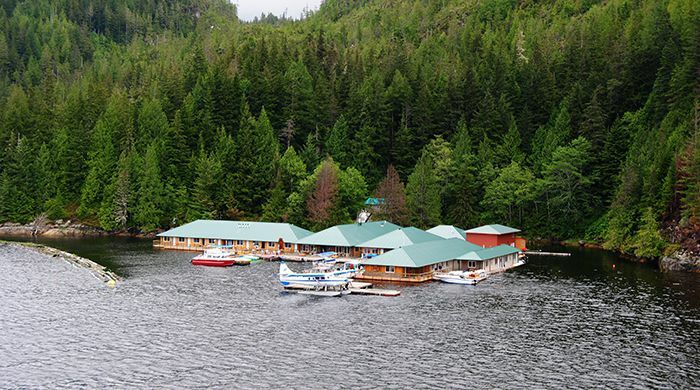 The Knight Inlet Lodge is a floating lodge tucked into the Glendale Cove, a protected anchorage 60km from the mouth of the Knight Inlet, a 100km fjord carved by glaciers in the coastal mountains of British Colombia, Canada. 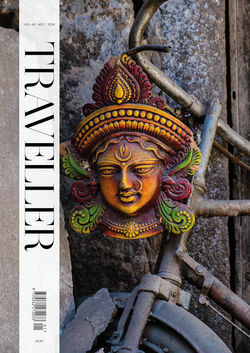 The lodge is 80km air miles north of Campbell River, in a wild an remote area of the Pacific Northwest. 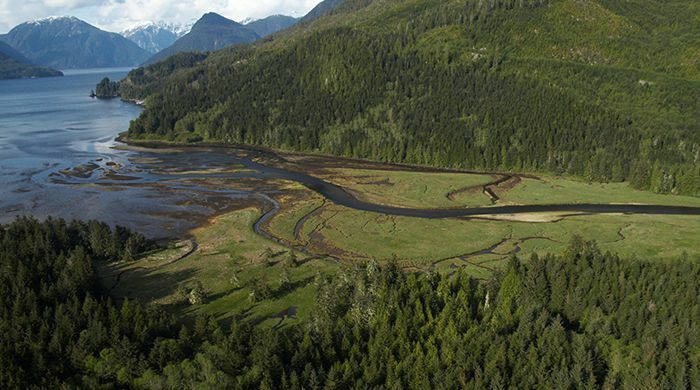 The Knight Inlet is one of the best places to view grizzly bears in the world. 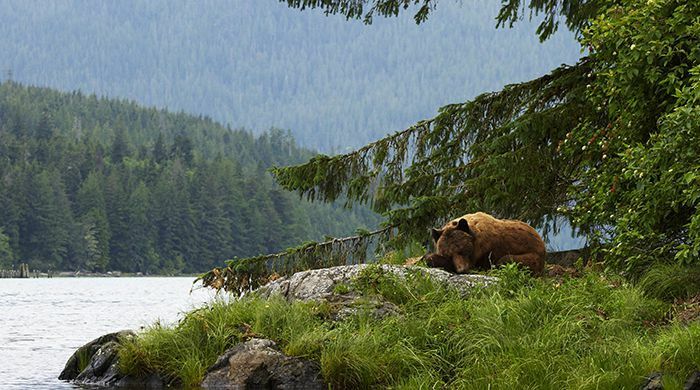 Every spring, the bears come out of hibernation and can be by boat on the banks of the Glendale Cove eating sedge grasses, mussels and barnacles that abound in the cove. In autumn, the bears feed on salmon in the Glendale River, and can be seen in large numbers from the specially constructed viewing platform. The lodge features five modern cement floats containing 18 guest rooms in total, a dining room, a lounge and interpretive centre and support buildings. 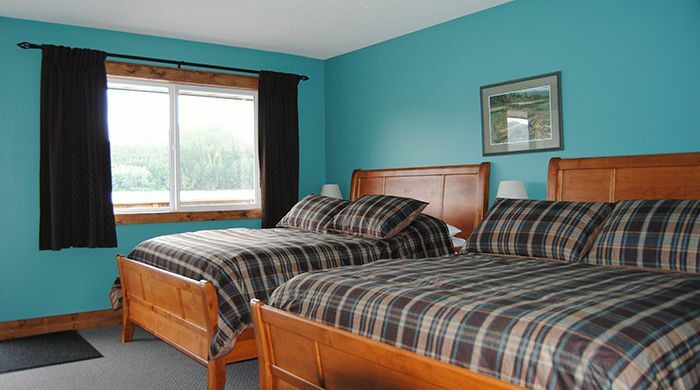 Most rooms feature queen size beds and private washrooms with showers. There are a couple of rooms with bunk beds for families looking to share a room, large enough for a cot to be added. Local alder hardwood furniture is featured in all the rooms, which have a view of either Glendale Cove or the shoreline - a common bear-spotting location. 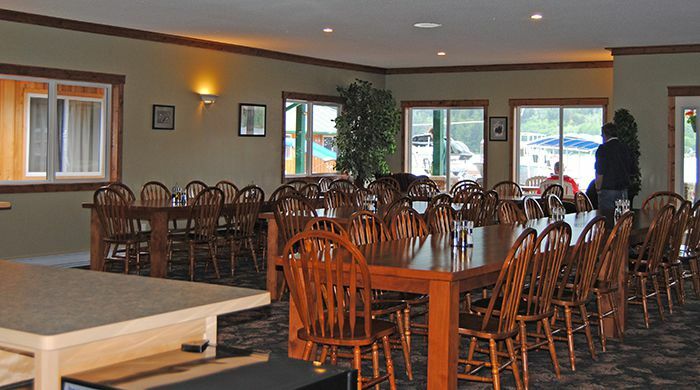 Fresh seafood is a specialty at the Knight Inlet Lodge. There's also a range of dining options. The main dining room serves West Coast and continental cuisine, with daily specials, fine wines and delicious desserts. Crab, salmon and prawn harvested fresh from the pristine glacier fed waters of the Knight Inlet. 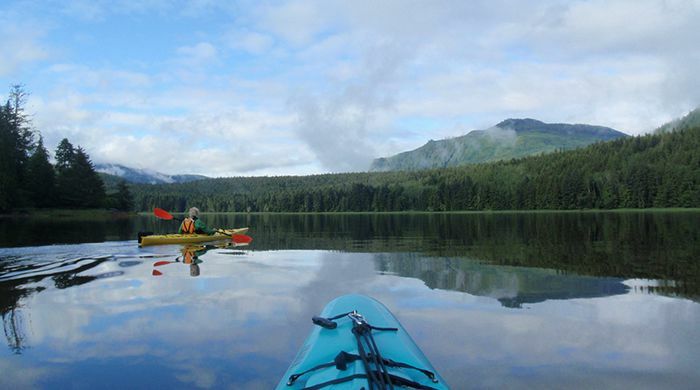 The Knight Inlet Lodge package includes a return flight from Vancouver to Campbell River, as well as a return transfer from Campbell River Airport to the Knight Inlet Lodge and seaplane terminal. The package also includes the nights' accommodation at the lodge, and a return airfare from Campbell River Floatplane dock to Knight Inlet Lodge. 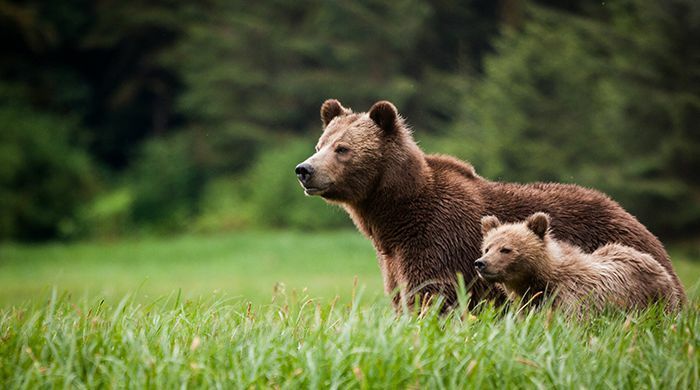 Also included is your welcome orientation for wildlife viewing, all meals and snacks whilst at the lodge, complimentary house wine with dinner, transportation to the bear viewing stands and boats, a bear viewing tour, a scenic boatride of Glendale Cove, use of kayaks on organised estuary tours, interpretive guide on all tours, rain gear if necessary, and BC Provincial Hotel Tax. 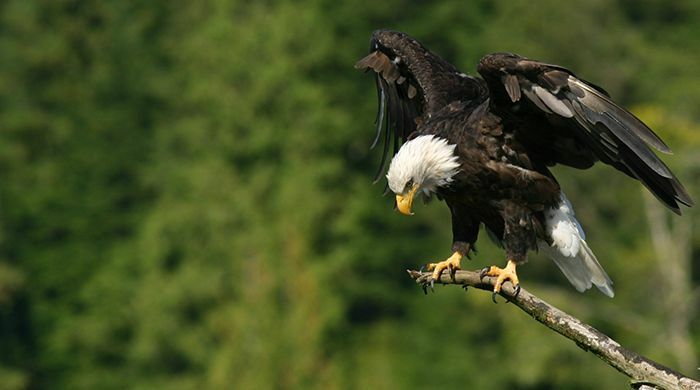 Four day and three night packages will offer the following extras: an extra bear viewing trip, an interpretive hike of the Kwalate River Valley, wildlife tracking to make plaster casts of animal prints, and excursions for Bald Eagle and other birdlife viewing. 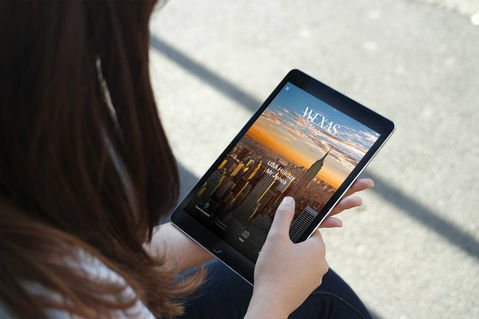 Five and six day packages will also include extras. These are: excursions to Johnstone Strait, excursions for Bald Eagle viewing and other birdlife, excursions to the upper reaches of Knight Inlet for scenic viewing of the inlet, excursions to see the grizzly bears from platforms or boats, excursions to Thompson Sound and Bond Sound for bear and wildlife viewing, wildlife tracking to make plaster casts of animal prints, interpretive forest walk in the Kwalate Valley, and use of kayaks on organised tours. This tailor-made fly-drive pairs Vancouver and Victoria's city highlights with the natural wonders and wildlife of Whistler, the Sunshine Coast and Pacific Rim National Park. Explore Kamloops, high up in Canada's Rocky Mountains. Expect everything from wine trails to wildlife parks and scenic drives charting the region's Gold Rush heritage.